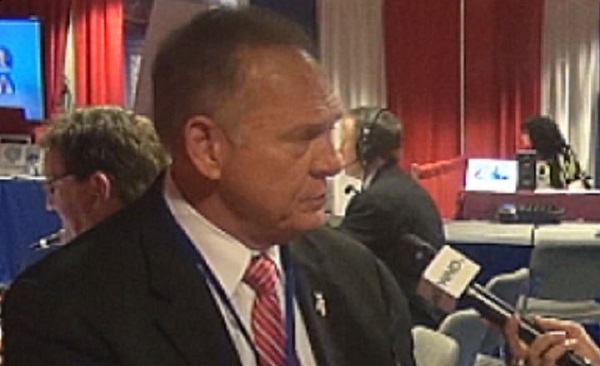 Moore told World Net Daily the greatest threats are America’s domestic enemies: Marxists and Democratic leadership who are intent on expanding the role of the federal government and steering Americans away from belief in God. In “So Help Me God,” Judge Roy Moore brilliantly argues that those who removed a Ten Commandments monument from his courthouse are the ones breaking the law by ordering him to violate his oath to uphold the Constitution of the United States. “The hardest thing to relay to the media is the relevance of God to a prosperous country. If we don’t understand that, then we lose our country because we don’t understand that things like God-given rights are inalienable because they are not given by government – they are given by God. That means that government can’t take them from you. When we forget that, government will take your rights from you,” he said.